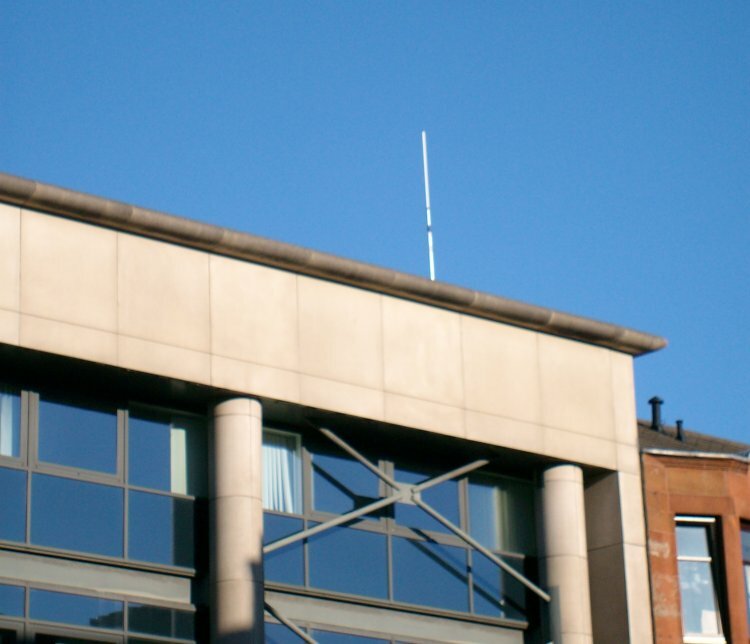 This is a vertical co-linear transmission antenna for Community station CamGlen Radio which transmitts with 25W on 107.9MHz.The studios are to the left and the antenna sits in between the studio building and the adjacent tenements. 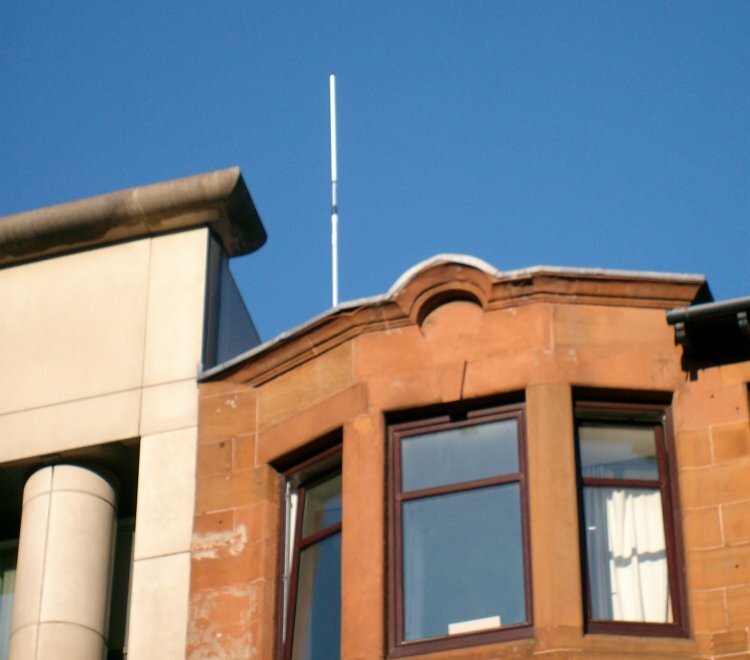 CamGeln Radio is based in Rutherglen, a town in South Lanarkshire, on the outskirts of Glasgow. Initially the station had 12, one month RSL licenses between 2007 and 2012. On 19th March 2015 CamGlen Radio started full time broadcasting on FM.